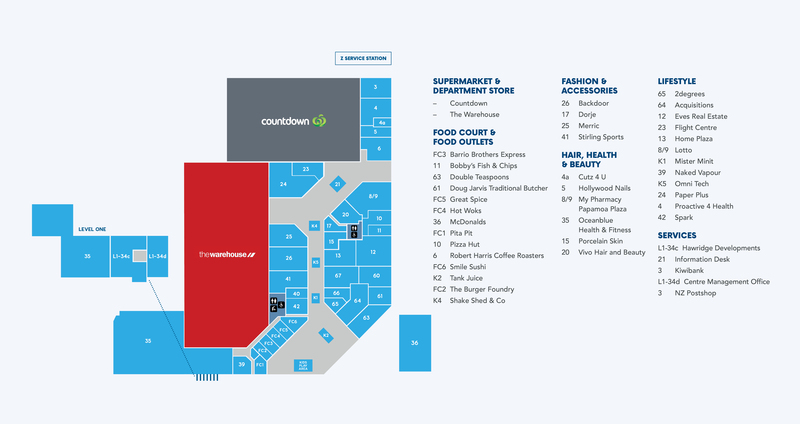 We are here to ensure you have an enjoyable and safe shopping experience every time you visit Papamoa Plaza. We oversee all aspects of the centre environment from cleaning, car parks and security to Health & Safety. We continually strive to improve the Papamoa Plaza facilities and ambience for our customer's enjoyment. Should you have any concerns while visiting the centre and would like to discuss them with centre management our office is located on level 1. The stairs are located outside by Ocenblue Health & Fitness. Casual Leasing opportunities are available and can be discussed with the Centre Manager.